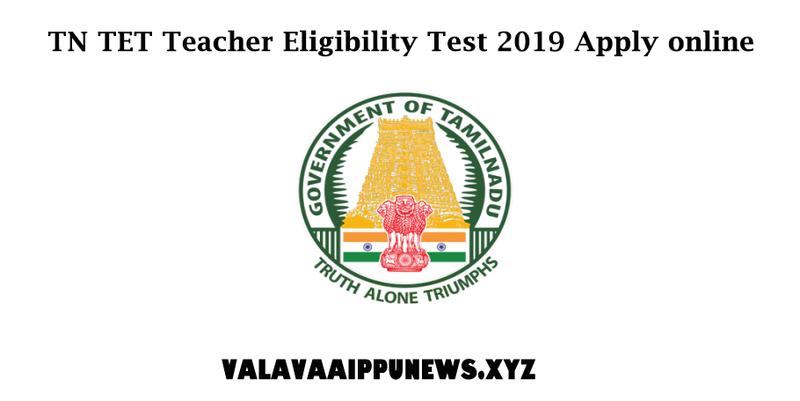 TN TET Teacher Eligibility Test 2019 Apply online | PBSMLINKS | A Complete Information Sharing Portal!! Disability Candidates, the examination fee is Rs. 250/-. Since the examination fee is different for various categories, candidates are advised to enter the correct Community / Person with Disability category. Once the payment is made, it will not be refunded. iii. Offline mode of payment in any form such as Demand Draft / Postal order etc. will not be accepted. Pass Certificate. However relaxation of 5% marks will be given to BC, BC(M), MBC/DNC, SC, SC(A), ST and Person with Disability Candidates. 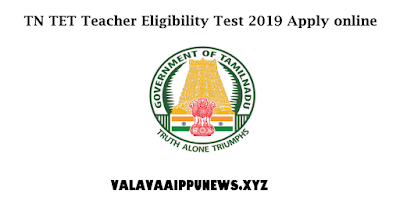 b) TET Certificate will be valid for 7 (seven) years. c) Mere holding of a TET certificate does not confer any right to appointment as it is only one of the eligibility criteria for appointment. d) As per G.O. (Ms)No.149, School Education (TRB) Department dated 20.07.2018, TET qualified candidates has to appear for a separate competitive examination related to recruitment.